Choosing a dentist is one of life's more important decisions. Choose the wrong dentist and you may regret it for the rest of your life. So how does one choose a dentist? From personal experience, choosing a dentist is not easy. To start with, your choice of dentist is limited to those dentists you can see in your geographical area, this means that if you have an undersupply of dentists, the work may be hurried and rushed and your tooth made worse as a result; also, in line with supply and demand principles, the dentists may overcharge you enormously, because they know they have many other patients who are willing to pay. If there is an oversupply of dentists, then the dentist may be inclined to overcharge to boost his income and he can do this also by doing unnecessary dental work, accounting fees and so on, but I think your teeth are more likely to be cared for better by such a dentist, as he wants you to come back and spend more. More than likely though, a dentist in an oversupply area is more likely to charge more reasonable prices. If you are prepared to travel, then you may be able to choose a more suitable area to draw your dentist from. How much can you save by going to a lower demand area for dentists? In our case, we live in a town of 25,000, but with only a small number of dentists, for example a scale and clean, including root planing, costs $250 to $300 from a general dentist. Travelling to a smaller town, 20 minutes away, with a better dentist to population ratio, the same procedure is $156 - well worth the travelling costs involved. We save heaps. The next consideration in choosing a dentist, is going to be your dental fund or dental insurance, if you have one. Dental funds may only allow you to choose a dentist from those dentists that have decided to work in with the dental fund. Sometimes a dental fund will allow you to choose any dentist you want, but then penalize you by paying the dentist you choose less, which means you pay more to see a "non-preferred" dentist. If money is tight, then your choice of dentist can become greatly curtailed at this point in time. Now we get to choose the dentist, based on the characteristics of the dentist. 1.. If the dentist works too fast, we try not to choose. To give an example, my wife went to see a dentist, because a cavity had developed in an otherwise healthy tooth. The dentist prided him/her self on working exceptionally fast - liked to do a 15 minute dental appointment in 5 minutes. Problem was in rushing the simple dental cavity the dentist drilled to deep and the tooth started bleeding, the dentist then packed the tooth with something to stop the bleeding and refilled the tooth. Within a week or two, Ms. X was back at another dentist because of the pain and toothache. The second dentist drilled out the new filling, found the packing material, couldn't figure out what on earth it was, but then told Ms. X that the tooth had kept bleeding and the tooth was now so badly corroded inside by the blood, that the tooth would have to be extracted, which my wife can tell you was very painful for weeks after and may have been responsible for her having a mini-stroke (TIA). So, because we chose the wrong dentist, what should have been a simple filling turned into a tooth extraction and a nightmare. 2.. If the dentist works too rough, we try not to choose. Who wants to walk away from the dentist chair with a painful mouth because the dentist didn't care enough to do things gently? Also, if they work too rough, what on earth is going to happen to your tooth or teeth when they start working on them? From my own experience in having my tooth worked on by a rough and fast dentist I chose once, the dentist cleaned my teeth in nothing flat, said there was nothing wrong and sent me home. Within a few weeks, one of my crowns developed problems, when I chose to go back to the same dentist again, he then said the crown wasn't fitting right and was allowing the germs to get in and wanted to know how old the crown was. In my opinion, the dentist should have picked up on the gap between the crown and the gum - which exposes the tooth to germs - on the first visit. I chose to stop that dentist from working on my tooth at that point - I wont be going back to see that dentist again. 3.. The dentist works too slow, we try not to choose. From our experience this suggests an inexperienced dentist and, from my own experience, a cavity wasn't cleaned out appropriately before the slow dentist filled it, leading to me seeing another dentist, who then had to drill out the new filling, drill out the cavity further and then fill it all up again. The second dentist thought I might loose the tooth, as the cavity had grown downward, rather than sideward and was very close to the nerve when she had to work on it. 4... We try and choose dentists that believe in informed decision making by dental patients. A dentist that says this is the only way to go or who tries to commence the work without informing us as to price and other alternatives, is not a good dentist in our opinion. You could literally be left with thousands in dental bills if you are not careful and or you could end up with dental work that isn't best for you. 5... Work out how much you are prepared to spend to save a tooth, then choose a dentist, the dentist diagnoses the tooth problem and you request a written quote with item numbers ( item numbers are what insurance companies use to determine how much they will pay back ). Go to your insurance company and find out how much they will pay you back and decide whether the tooth is worth your out of pocket expenses. Let's face it, we are not all Paris Hiltons on a million plus weekly - we have to decide how our money is best used and there does come a time when it may be better to pay for the removal of the tooth, rather than the repair of the tooth. To give a brief idea, the dentist you choose may charge $300 to pull the tooth out, but $3,000 to fix the tooth leaving you with an out of pocket expense after insurance of perhaps $1,700. Also, in choosing to let the dentist work on your teeth, be aware that some dental insurance plans put lifetime limits on how much you can claim over your lifetime for particular dental items. I found out recently that, for us, it was $2,400 for crowns - that's the cost of just one crown! 6.. Also realize, that the more complicated the dental procedure the more capable you want your dentist to be. Root canal work , tooth abscess of the tooth root, redoing a crown or bridge, requires more competence in a dentist than a filling may, if you want a good result. I hope you have learnt some good ideas on choosing a dentist, but it wont guarantee you'll get good results, but hopefully you will. 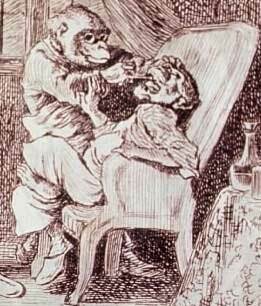 Top tooth extraction picture courtesy of the National Library of Medicine.